This years Futurebuild saw a new owner, a new look and a fresh take on the future construction industry. 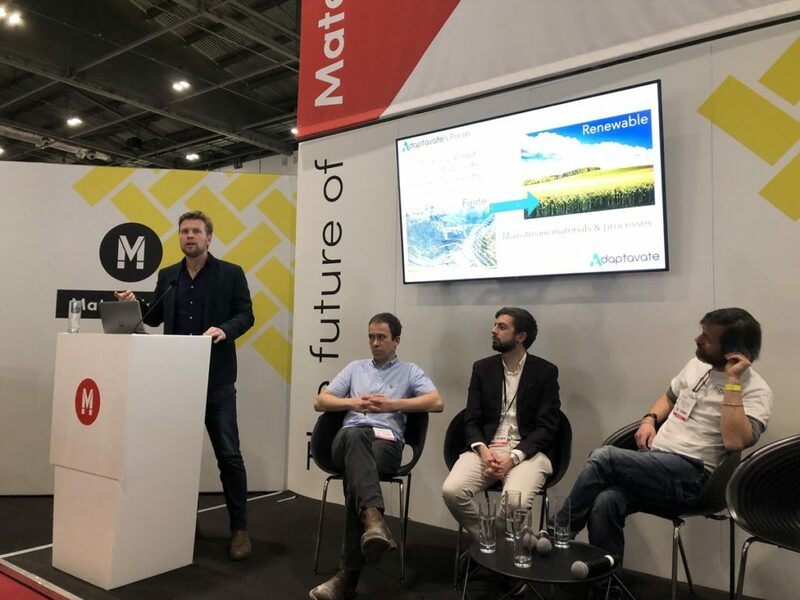 We are only a small startup, but we were honoured to be asked to speak at the UK’s largest Future building show – for being recognised for the fresh way we approach the industry. We were invited to speak on 2 occasions for this years Futurebuild. On Tuesday, Tom spoke about how we are creating mainstreamable natural material alternatives to the current products. He shared how our products are designed to be ‘drop-in’ alternatives so that no re-skilling is needed on site or by specifiers and he also shared how our processes will enable mainstream production to be scaleable and at low running cost. He also was able to present some case studies from recently completed projects where healthy material choices were paramount for the client. 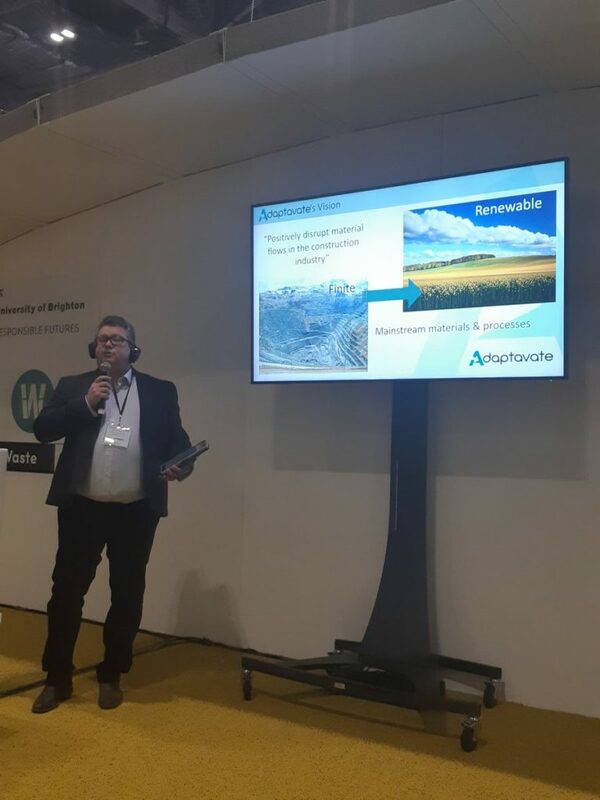 Jason, our commercial director was invited by LWARB to speak on the ‘Waste Stage’ about our vision for the Circular Economy within the construction material industry. He shared how we are re-thinking the feedstocks we make materials from and how we use waste streams from the agricultural industry to incorporate into high performing products. The audience were particularly interested that the waste streams from our products are compostable and could be used to help provide nutrients to soils to grow more material. We want to thank LWARB and NBUK for inviting us to speak and being part of what were really engaging sessions. It is always great to get questions at the end of panel discussions and share different perspectives!